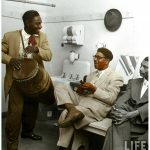 For decades, the New York Times has been one of the world’s key outlets for jazz news and reviews. In an era when clickbait is valued more highly that news, the New York Times has abdicated its role as a leader in jazz reporting and education. 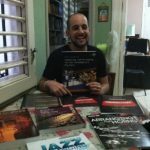 All jazz festivals worldwide listed, all jazz clubs worldwide listed, all jazz education programs worldwide listed, an in-depth free course on Cuba and its influence on jazz and American music, book profiles, artist profiles, curated videos of classic videos every day etc. Meanwhile, the great writers have left the Times and the new guy splits his time as the Times’ TV comedy critic and so far appears not to know – or care – much about New York’s proud role as center of the jazz universe. 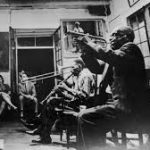 If you haven’t participated in supporting Jazz on the Tube yet, this article is a good reason to considering doing so if you love jazz and want to see it survive and thrive.